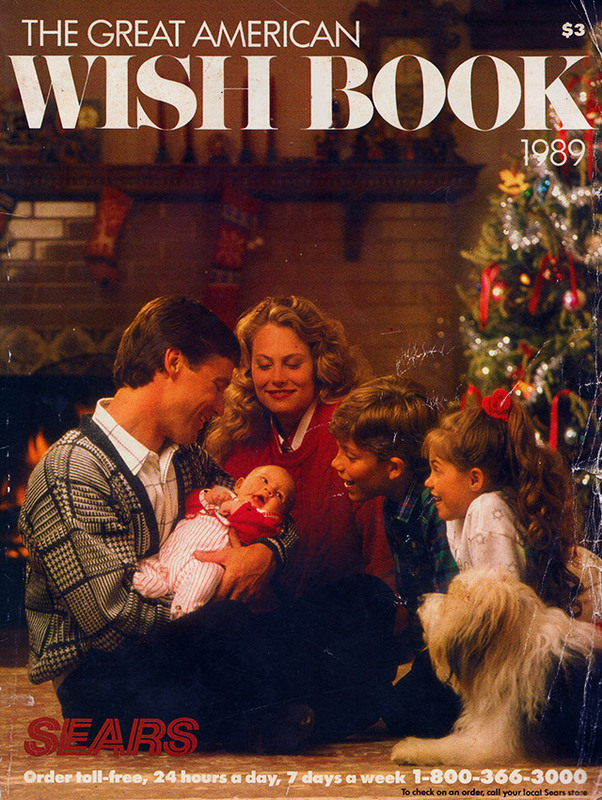 More Highlights from the '89 Wish Book! | Dinosaur Dracula! More Highlights from the ’89 Wish Book! 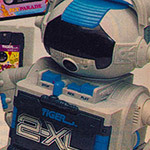 Let’s dig up more highlights from the 1989 Sears Wish Book. The gun didn’t actually shoot, and instead acted as an aiming device for you to pelt targets with a barrage of tiny metal balls. 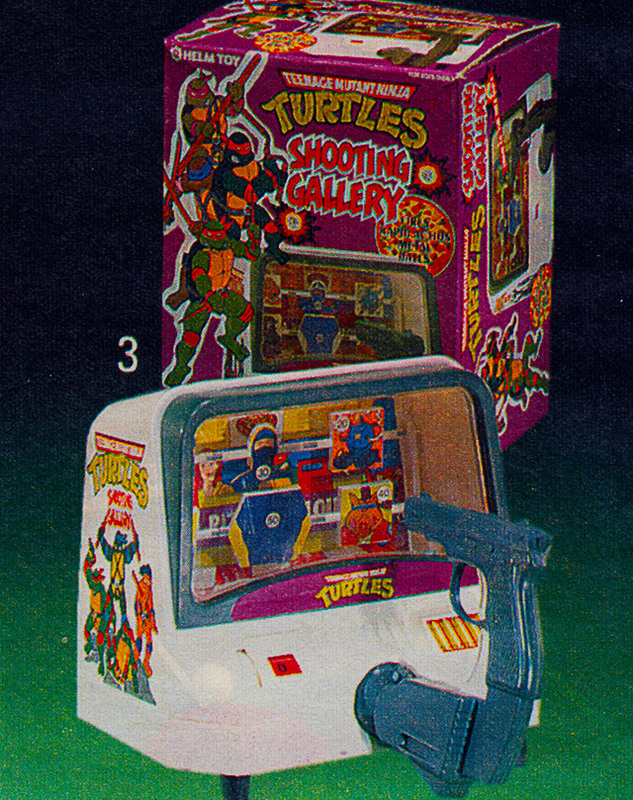 I had the TMNT Shooting Gallery, and can confirm that it was stronger in concept than execution. 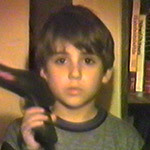 The cheap plastic trigger only sometimes worked, and the aiming system was so off-kilter that you could’ve scored comparably while completely blindfolded. Despite those flaws, I freakin’ loved this thing. The “gallery” was made to look like a pizza parlor, but one that’d been infiltrated by the likes of Krang, Bebop and a bisected Shredder. Increasing the tension was April O’Neil, who hid in the background to run the cash register. Don’t shoot April, kids! I rather liked this parallel universe wherein April worked at a pizza parlor and Shredder had no visible pupils. It was as if Donatello killed a butterfly during Turtles in Time. Can we talk about that Mario for a minute? Notice how the colors of his clothes are all wrong. 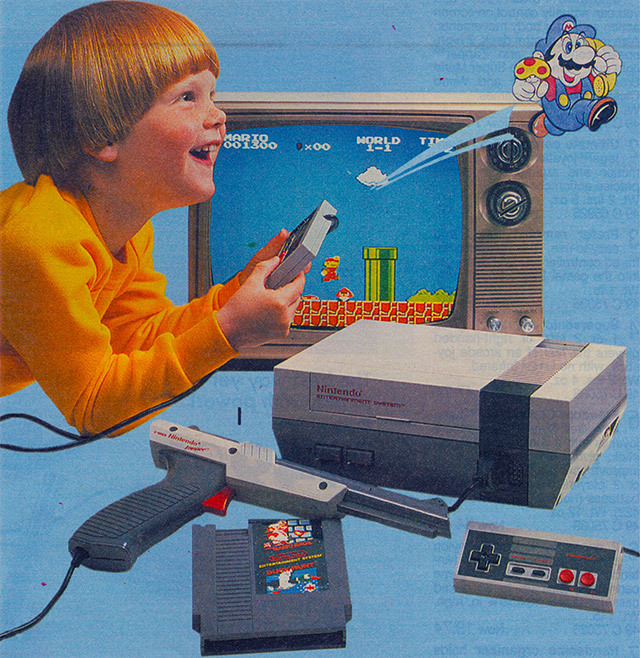 And how he’s holding not just a Super Mushroom, but a goddamned telephone. It’s weird how I’m willing to accept Mario jumping out of a Nintendo game and into the real world, but not if the clothes are wrong and definitely not if he’s carrying a phone. I know that Double Dare in its various incarnations remained popular for years, but when the original version first hit network TV, watching it was a religious experience. It was one of those things that every kid just had to do. The show’s slimy obstacle courses no doubt inspired legions of kids to crash into walls and make tunnels out of couch cushions, but if you wanted to do things a bit more officially, there was this. I guess it was like the helmet version of Mouse Trap? I had this thing and could barely assemble it, let alone assemble it well enough to play, which in of itself assumed that I could find anyone to play it with. The set’s many pieces instead dispersed throughout my bedroom, with a select few managing to survive for close to a decade. Hell, I still have that big yellow sponge, and am only now remembering that it came from this game. 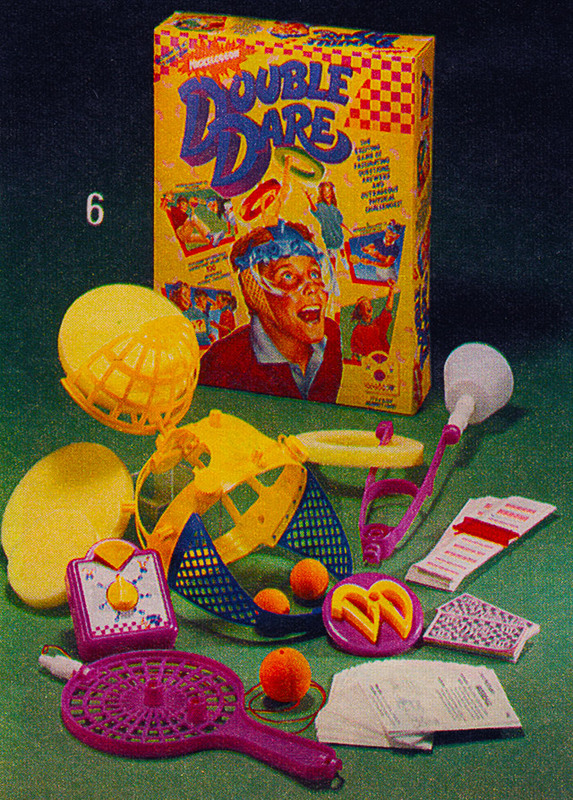 I suppose I should’ve known that nothing could live up to that box art, which showed a kid wearing a goddamned miniature golf course on his head. We live, we learn. 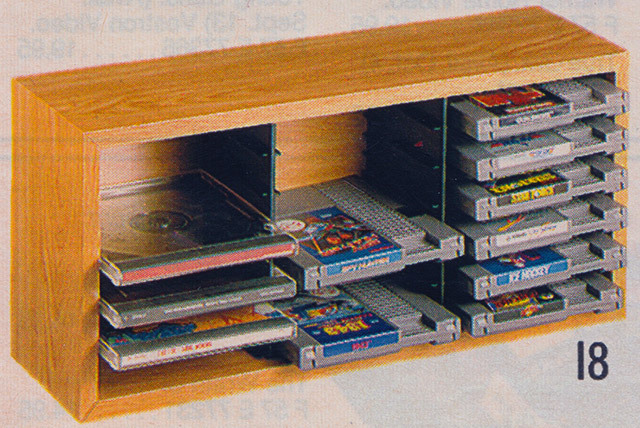 VHS Cabinet & Nintendo Game Cabinet! Weird that I have so much nostalgia for oak and particleboard, but here we are. 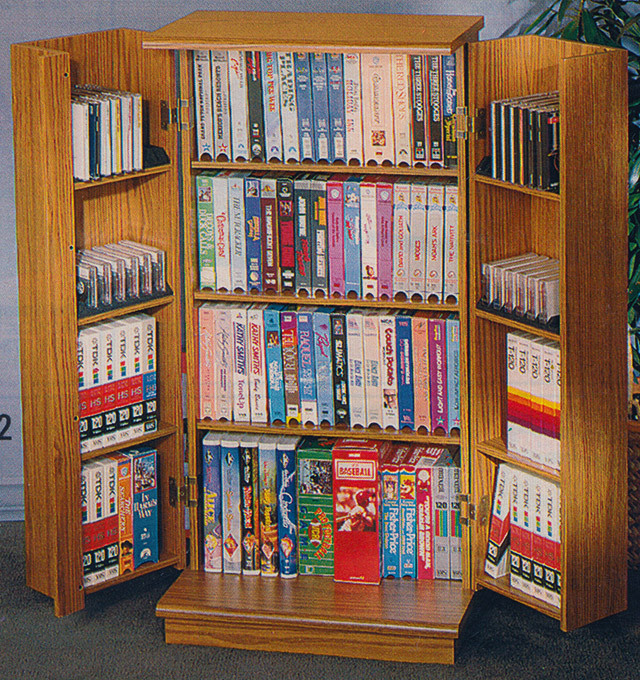 My family had that VHS cabinet, which was one of those things that seemed more practical on paper. Because of the way the doors opened, the cabinet required much more space than was really reasonable. We eventually did away with the doors and just used the core shelves. As I recall, nobody even bothered to unscrew the hinges. Of all the nameable aesthetics from my childhood, “eclectically trashy” is the one I miss most. I had better luck with that Nintendo cabinet, which briefly got me to stop treating my cartridges like indestructible garbage. I remember dusting that cabinet and holding it in high esteem. It was a beacon of order in a sea of chaos, and it was the only thing in my bedroom that wasn’t grimy. As longtime readers know, I’m fascinated with Hickory Farms samplers. I still don’t consider any Christmas season complete until I buy one, though the ones I get nowadays are the super small versions sold next to the stocking stuffers at Target. If you’ve never had one, the food is just as questionable as you’ve probably imagined. The cheese is okay because cheese is always okay, but the meats feel like raw body parts even despite being the most processed foods in the history of preservatives. If there are crackers, they’re straight-up cardboard. You don’t buy these samplers because the food tastes good, though. It’s really just an excuse to have a picnic in your living room. 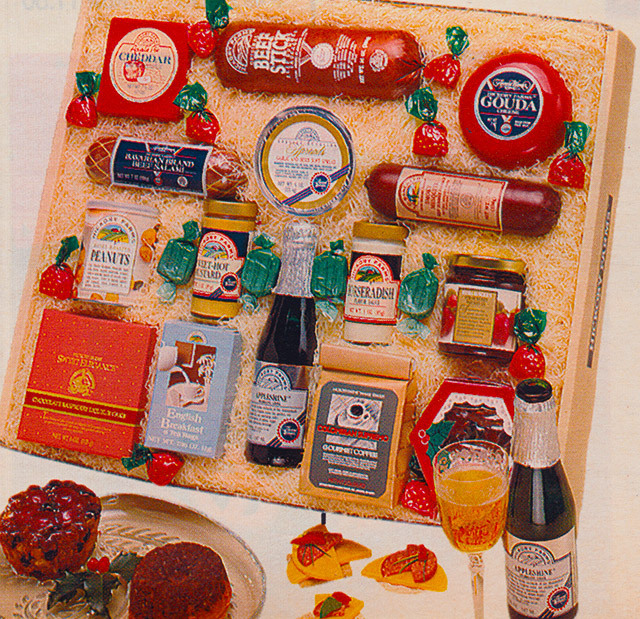 The larger set shown in the 1989 Wish Book seems much more appealing, and buying a Hickory Farms sampler of that size remains on my bucket list. Fishing through hay for gouda and cider sounds like an awesome time, and I am being 100% serious. Someday, baby! They sound plain at first, but look closer. The art is bizarrely incredible and frustratingly suitable for framing. Let’s start with the Ninja Turtle pajamas. 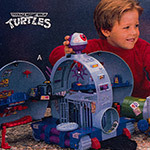 Notice how Donatello is piloting some cockamamie Playskool version of the Turtle Blimp glider. And then there’s Shredder, who’d evidently traded Bebop and Rocksteady for a pair of robots that never appeared anywhere else in the TMNT universe. I like it when my pajamas make me think. The Zelda pajamas are even more gripping, in part because Link and Zelda weren’t mined for merchandise nearly as often as the Ninja Turtles. In its day, that image of Link fighting Gleelok was so damn cool that some kids doubtlessly tried to convince their parents to let them wear pajamas to school. 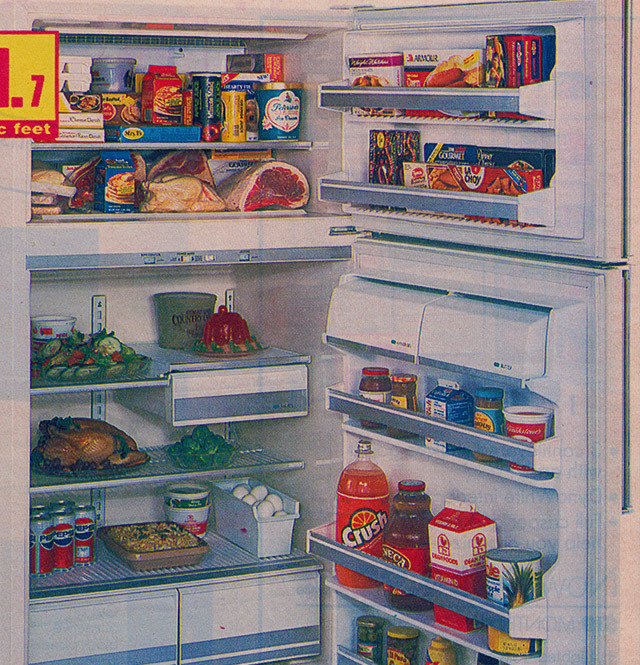 These old catalogs hide treasures where you’d least expect them. 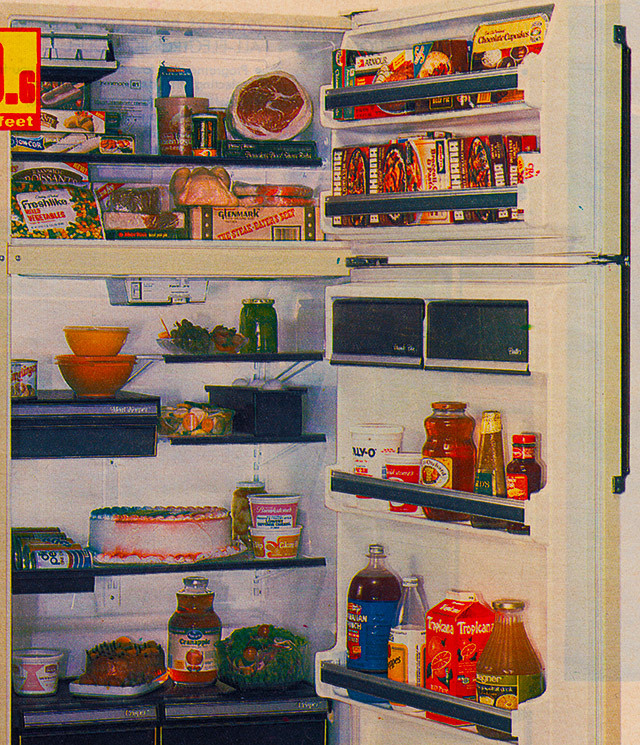 For example, I’ve noticed that any pages with refrigerators on ‘em are must-bookmarks, all thanks to those shots of really old groceries. Only rarely did the set dressers use prop food. 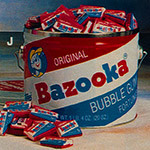 Here they bought bags of legit groceries that would inadvertently give future generations the chance to know what it was like to eat back in 1989. Highlights include Pepsi in its old-style cans, and the long-discontinued line of Benihana microwave meals. Strange that in a 500-page catalog full of classic toys and Nintendo games, the thing that made me the most wistful was Cranapple juice. 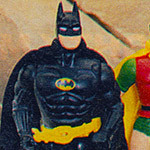 Thank you for reading about Batman pajamas and oak cabinets. Stay tuned — more Christmas catalog reviews are on the way! 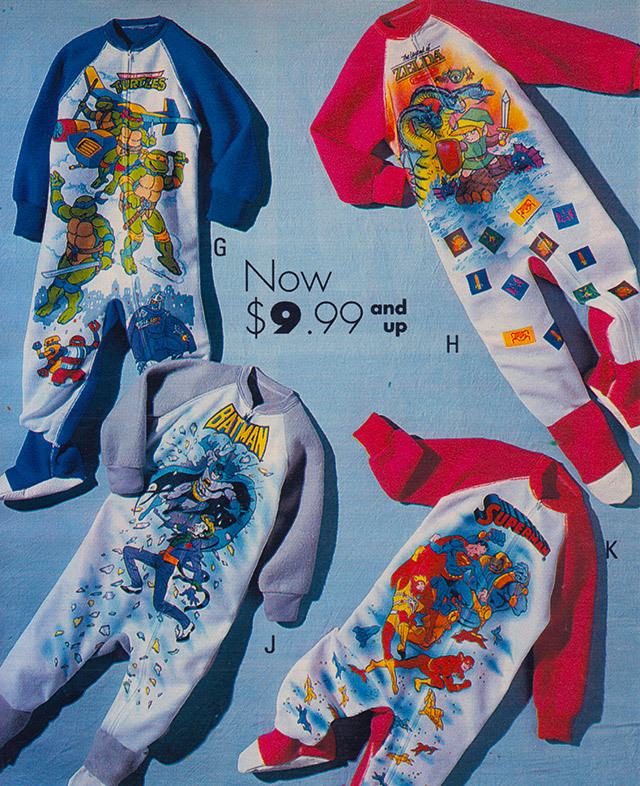 Toys from the 1994 JCPenney Catalog! 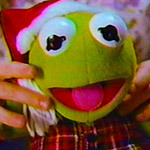 Classic Christmas Commercials, Volume 8!